Many of today’s food innovators, investors, and industry enthusiasts are focused on more than just creating products that are tasty and marketable. Players in the current market want to do more with their food, seeking to make a positive impact on the food industry, our communities, and the planet. These efforts come at a critical time. The demands on our food supply are increasing significantly as climate change makes food production more unpredictable. The UN estimates that the world’s population is expected to increase about 35 percent by 2050, growing from 7.3 billion people today to 9.7 billion people. In turn, our global food production levels need to almost double, both because of population growth and the rising middle class in developing countries. This group is experiencing evolving eating habits, impacting the amount of food waste in our systems. 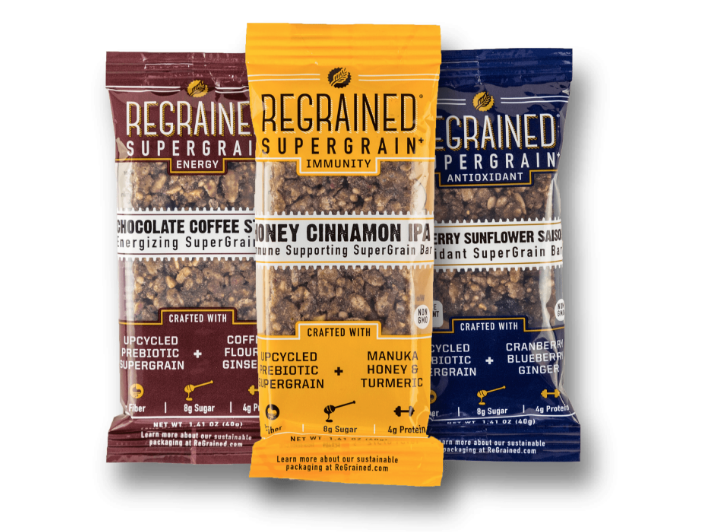 -Regrained makes snacks with the nutritious grain created from beer brewery waste. –Forager Project makes chips out of rehydrated pomace (i.e., the skin, the seeds, and the pulp of vegetables) from its juice operations. –Toast Ale makes beers with the usual hops, yeast, malted barley, and water, but also uses surplus bread from bakeries. –Snact is making snacks (as one might suspect from its name!) from surplus fruits. –Ugly Juice uses “ugly,” hard-to-sell fruit to make its juices. -IKEA’s Space10, which has experimented with a new Swedish meatball made with insects, algae, and lab-grown meat. 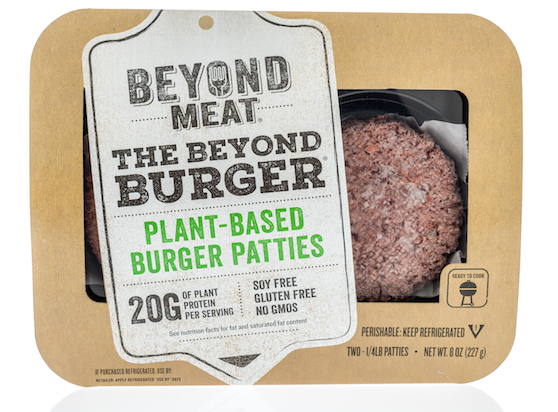 -Realistic plant-based meat analogs like Beyond Meat (made from pea protein isolate, coconut oil and sunflower oil) and the Impossible Burger. In fact, of the fifteen most well-funded CPG startups of late, five focus on replacing animal proteins with plants (Hampton Creek, Impossible Foods, Califia Farms, Ripple Foods, and Beyond Meat). -Companies are experimenting with cell-cultured meats, such as Finless Foods, which is developing a cell-cultured Bluefin tuna. The food industry has an opportunity to help reinvent our food supply to ensure we can both feed the world and protect our planet. Luckily, as the above examples demonstrate, many innovators recognize this need and are responding with solutions that are both good for consumers and the Earth. These efforts, combined with more sustainable ingredient sourcing, climate positive agriculture, and regenerative agricultural practices, just might make it possible to meet the growing demands for food while decreasing the industry’s contributions to climate change.